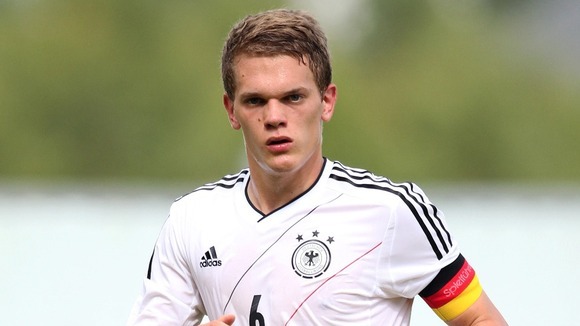 Arsenal have reportedly expressed interest in landing Germany international Matthias Ginter from Bundesliga outfit Borussia Monchengladbach in the summer transfer market, reports say. Unai Emery wants to bring at least three new players to the Emirates Stadium at the end of the season, with defensive reinforcements the boss’ priority. The Gunners have shipped 36 goals in 25 EPL fixtures this term, the most of any team in the top half of the standings bar Everton and Bournemouth. German star Shkodran Mustafi has failed to justify his £35 million transfer fee after arriving from Spanish club Valencia in 2016, while a number of the Gunners defenders have struggled with injuries this season. Be the first to comment on "Arsenal prepare to sign Ex-Dortmund defender as Unai Emery wants to bolster team"